"I Want to Be a Dentist"
Physicians don't know anything about teeth. By which, I mean to say you could not possibly underestimate our dental knowledge. The other day, in preparation for this dental education I'm receiving, I asked Rachel, "How many teeth do we have?" Just to put this into perspective. And yet, we plan on going to a place to practice where there likely are no dentists. And (to state the obvious) this does not at all mean that dental pathology will likewise disappear, in fact it's likely to be all the more severe. So I'm spending these two weeks working with a fine group of dentists through the UofM dental school. 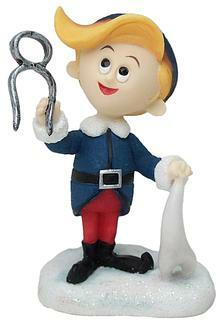 In my first day, I learned a number of helpful tidbits at the hands of some very capable and enthusiastic faculty dentists, and also learned the basics of numbing up pretty much any part of the mouth. One of the residents even let me practice on him. Wow. My hope is that I can learn to do some basic dental assessments, learn regional anesthesia, and even learn how to take teeth out. Anything else is certainly welcome. And I do now know how many teeth we have. I have this deep emotional response to people with disabilities. I would guess that this comes from my mom's work as an ASL interpreter and perhaps from medical training. Maybe it's just some innate part of me. It certainly is not pity, rather something more complex. I got to watch something beautiful yesterday. I was riding the bus home from the hospital, and at a particular stop, about a dozen people with various physical and mental disabilities got on the bus, with some assistants. One of the gentleman already on the bus, whom I had not noticed before, apparently also had some mild disability. As soon as his friends got on the bus, he lit up and greeted each of them with an enthusiastic hug, asking them if they would sit with him, and promising them that he was going to teach them how to dance. And for some reason, I just sat there watching, overwhelmed with joy. I'm no expert opinion on the matter, but my limited experience and observations makes me think that to live with a disability is to live a high stakes life. The joyful moments seem hearbreakingly joyful and the sorrows are heartbreakingly sorrowful. Either way, the heart is always breaking. Such depth seems to make a beautiful life, and reminds me of the emotional responses of children, and that reminds me of Jesus' words about children inheriting the kingdom of God. What does this have to do with medicine and Africa? I have often thought that working in Africa is also high stakes. For instance, we have looked into working in South Sudan, possibly moving there permanently after some extra training in 2011. Around that same time, South Sudan is set to hold a referendum as to whether they want to secede from the North. So, either we could be in on the ground level of the world's newest sovreign nation, or maybe it could devolve into the 3rd Sudanese Civil war. High Stakes. Great joy or great sorrow. Either way the heart is breaking. My friend Luke traveled to the Ukraine and worked briefly with the disabled there, finding that only minimal physical care was given, and more or less no thought was given to try to improve their quality of life and instill the dignity due to each man and woman. I can only begin to imagine what I might encounter in this arena in Africa, but I imagine the stakes might be even higher. Our church is doing this awesome miniseries of classes on “Faith in Medicine”. Seeing as though this website is to be a forum for all things Faith, Medicine, and Africa (and the intersections of these themes), this may not be the last posting from the aforementioned miniseries. It’s part of a broader goal the church has of trying to help people discover how to serve God in the work they do. 1. Healing through medicine is a good gift of God against the destructive effects of sin in this world, regardless of the motivation of the practitioner. It is not only those with a wrong motivation who often presume on God’s grace to accomplish healing through medicine. 2. Health is a gift of God, since He is keeping and preserving (in addition to healing) everything in nature. Thus, it is fitting that we praise God for our health, since the hand of God is not less active here than in health restored after sickness. 3. Sometimes glorious redeeming work comes through suffering. This is a mystery and a difficult thing to find appropriate application for in medicine, but it is certainly in line with Jesus’ teaching. It is plausible because of the fact that we are never at a position to know the whole story and all the ramifications of a given suffering. Paul Salopek. Man wins Pullitzer Prize for journalism. Man goes to Sudan to write article. Man is jailed for espionage for 34 days. After release, which took a visit to Sudan by his home governor Bill Richardson, he apparently returned to the country in order to finish his article. Man writes cover story for National Geographic last month. 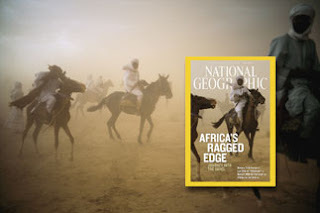 Given our interest in Sudan as a possible long-term goal, I found this article fascinating, especially as it focuses on all the Sahel (the southern border of the Sahara across Africa). Partly, it scared me a whole whole lot. For the record, we are more interested in South Sudan, further away from the heart of conflict currently in Darfur where Salopek was jailed. But overall I thought his article was thoughtful and had a large amount of insight into the culture there. And his willingness to go through a jailing and return to Sudan demonstrates an admirable committment to journalism, if not to Africa and their struggle. A little while ago, I heard Jaroslav Pelikan on NPR talking about various creeds of the world. The whole podcast can be found here. He used the Masai Creed as an example of a people who had initially taken on the creed of the missionaries sent to them, and later were able to make the creed their own, but at the same time keep the central truths they were given. An interesting discussion point. Enjoy. We believe in the one High God, who out of love created the beautiful world and everything good in it. He created Man and wanted Man to be happy in the world. God loves the world and every nation and tribe on the Earth. We have known this High God in darkness, and now we know Him in the light. God promised in the book of His word, the Bible, that He would save the world and all the nations and tribes. We believe that God made good His promise by sending His Son, Jesus Christ, a man in the flesh, a Jew by tribe, born poor in a little village, who left His home and was always on safari doing good, curing people by the power of God, teaching about God and man, showing the meaning of religion is love. He was rejected by his people, tortured and nailed hands and feet to a cross, and died. He lay buried in the grave, but the hyenas did not touch him, and on the third day, He rose from the grave. He ascended to the skies. He is the Lord. We believe that all our sins are forgiven through Him. All who have faith in Him must be sorry for their sins, be baptized in the Holy Spirit of God, live the rules of love and share the bread together in love, to announce the Good News to others until Jesus comes again. We are waiting for Him. He is alive. He lives. This we believe. Amen. Greg became acquainted with the team during a short mission trip to Kenya in 2010. The family joined the McCropders in the fall of 2014 to serve in Burundi during a 9 month internship. During this time it became evident that God was placing a call on the Sund's hearts to join the team long term. The Sund's American home is in Bellingham, WA. Greg is an anesthesiologist and amateur bluegrass musician. When in Bellingham he plays mandolin in an all-physician bluegrass band named Runaway Truck Ramp. Stephanie grew up outside Boston and worked for several years as an RN prior to starting a family. Stephanie loves outdoors and of course is a huge fan of the band Runaway Truck Ramp. Ella enjoys playing piano, reading and geocaching. Mekdes enjoys cooking, playing soccer, playing the piano and reading. Biniyam enjoys being a ninja and hopes to one day make a living as a stand-up comedian. Donation information for the Sunds can be found by clicking here.